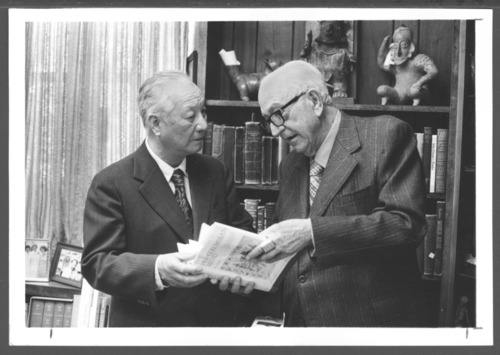 Wu Chen is shown with Karl Menninger, M.D. at the Menninger Clinic in Topeka, Kansas. This clinic was formed for mental-health treatment, education, and research. Wu Chen, with Karl Menninger, M.D.